Heavy Lift Slings And Grommets Manufactured by KTL Offshore Get The Job Done In The North Sea Using One Of The Largest Cranes In The World! 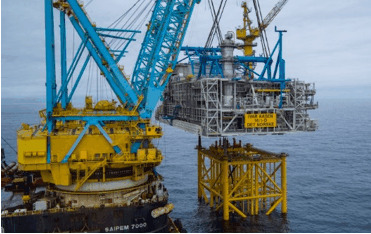 The top decks of the Gina Krog platform were installed in late June in less than a week using the Saipem 7000 installation vessel. The complete weight of the platforms was around 20,000 tons. KTL Offshore supplied the heavy lift slings and grommets for the lifting of the living quarters, main support fame, process module and utility modules. 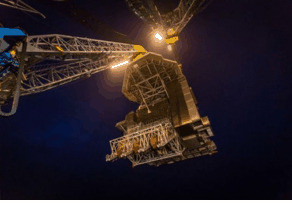 Both projects used the Saipem 7000 semi-submersible crane vessel - which uses twin 3,500t cranes - to perform the heavy lift. This vessel is currently listed as the world’s second largest crane vessel, after the DCV Thialf operated by Heerema. The cable laid slings and grommets were manufactured and tested at KTL Offshore’s Tanjong Langsat facility in Malaysia. All slings and grommets were individually tested to ensure the stringent length tolerances were achieved. Pleasure to present our 1st Sustainability Report for the calendar year ended 31 December 2017 (CY2017). Sustainability Report (Period covering 1st Jan - 31 Dec 2017) Please Click here for details. OSEA Exhibition on 27 - 29 November 2018 Visit us at Booth BH3-07 We will be exhibiting at OSEA 2018 - come and visit us to see our new Black Mamba towing strops as well as our heavy lift range of synthetic and steel slings. © 2019 KTL All rights reserved.